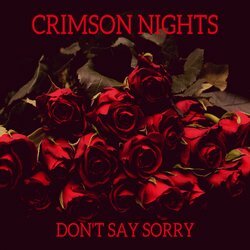 Crimson Nights is a Funk Rock band comprised of Jess Keble (vocals and keys), Beau Simpson (Guitar), Mitch Mclaurie (Bass) and Saul Saragossi (Drums). The quartet are Brisbane based and all attend QUT, forming as part of their studies in the Bachelor of Music course. The band has just released their debut single: Don't Say Sorry and are looking forward to releasing two more singles ahead of their debut EP. Lead vocals are sung by very gifted young woman, with her own unique style and power. Backed up by a powerhouse rhythm section, who love their funky, edgy and catchy riffs and beats. Crimson Nights are looking forward to what the future has in store and great times ahead.